BEDS & BUCKS FORKTRUCKS LTD.
We have been providing quality forklifts, heavy-duty lifting equipment, attachment, accessories and service for 25 years. Beds & Bucks Forklifts, Hurst End Industrial Units, Folly Lane, North Crawley, Bucks, MK16 9HS. Doosan forklift brand - is a major new force in material handling. 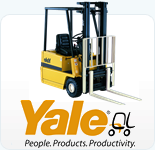 Our forklift range covers 80 models in total. Spanning Diesels: 1.5 to 16 Tonnes, Gas Powered: 1.5 to 7 Tonnes and Electric: 1.0 to 5.0 Tonnes. Dawson Materials Handling Equipment Ltd, Unit 5 Tamar Commercial Centre, Tamar Street, Belfast, BT4 1HS. offer an individual solution for all of your handling needs from forklift trucks and Warehouse equipment whether purchased, hired or leased, to rough terrain, telehandlers and much much more. Lift West Ltd, Lopen Head Business Park, Lopen Head, Somerset, TA13 5JH. Liverlift Forktrucks Ltd, 2 Hilbre Street, Birkenhead. CH41 3NW. We are the exclusive dealer for the Caterpillar range of forklift trucks and warehouse equipment for London. We stock hundreds of Quality Used Ex-rental Forklifts, maintained and serviced from new. Hiremech, Unit 1, Tariff Road, Tottenham, London, N17 0EB. Yale, Kalmar, Narrow Aisle, Rocla, Fantuzzi, COMBiLIFT and Tennant. Parts and Attachments. Forkway Ltd, Shaw Cross Business Park, Owl Lane, Dewsbury, WF12 7RF. Bennie Equipment is a complete equipment solutions provider, offering material handling equipment, telehandlers, powered access, sweepers, cleaning / facility maintenance equipment and rough terrain forklifts. Our equipment range is available for sale, contract hire and short term rental. We provide an unbeatable full service equipment solution to our customers. Part of The Bennie Group, a family business founded over 75 years ago. Now in its third generation of family management, the group employs 200 people across multiple divisions, and is based in Burton Latimer, Northamptonshire. Bennie Equipment, Midland Fork Lifts Ltd, Cranford Road, Burton Latimer, Kettering, Northants, NN15 5TB. Champion Materials Handling Limited was founded in January 1995, with a view of bridging a gap in the mechanical industry by offering independent advice to customers combined with a quality personal service. It was decided not to take on any agencies for new forklifts, which enables us to offer what the customer needs rather than what we are trying to sell! Chamption Forklifts, 70 Seabourne Road, Southbourne, Bournemouth, Dorset, BH5 2HT. Premier offer for Hire, Lease or Purchase a comprehensive selection of New and Used Diesel, L.P.Gas and Battery powered fork lift trucks. Choose Specialist warehouse equipment, Multi-Directional, Articulated, Pedestrian, Reach and Counterbalanced fork lift trucks from our depots in Manchester and Wigan, Lancashire.